Mr. Nashville: LEGENDARY SOUL MAN SAM MOORE JOINS THE BLUES BROTHERS FOR SPECIAL GUEST PERFORMANCE ON PBS’ A CAPITOL FOURTH, AMERICA’S NATIONAL INDEPENDENCE DAY CELEBRATION, LIVE FROM THE U.S. CAPITOL! LEGENDARY SOUL MAN SAM MOORE JOINS THE BLUES BROTHERS FOR SPECIAL GUEST PERFORMANCE ON PBS’ A CAPITOL FOURTH, AMERICA’S NATIONAL INDEPENDENCE DAY CELEBRATION, LIVE FROM THE U.S. CAPITOL! 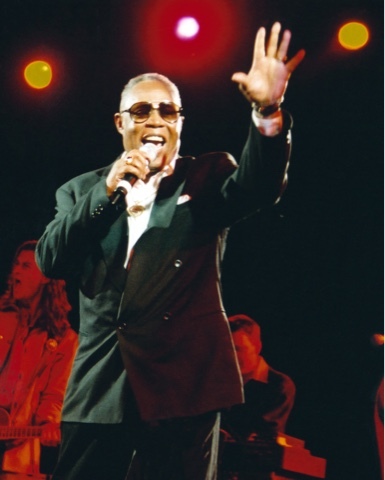 WASHINGTON, D.C. – Grammy and Rock & Roll Hall of Famer and Legendary Soul Man Sam Moore will join Dan Aykroyd and Jim Belushi of The Blues Brothers for a special guest performance on the 37th annual edition of PBS’ A CAPITOL FOURTH, broadcast live from the West Lawn of the U.S. Capitol. Named one of the “Top 100 Greatest Singers of All Time” by Rolling Stone Magazine, Moore is best known as one half of the famed Grammy-winning R&B duo Sam & Dave. Their monster hit "Soul Man" catapulted them up both the Pop and R&B Charts selling more than 10 million records worldwide. The Blues Brothers, who based their stage presence and personae on Sam & Dave, premiered their breakthrough, high‐energy rendition of “Soul Man” during their national television debut in 1978 on Saturday Night Live. “I couldn’t think of a more fitting way to honor the 50th anniversary of the release of my 1967 Grammy winning song ‘Soul Man’ than to be asked to perform it with the Blues Brothers on the West Lawn of the U.S. Capitol,” said Sam Moore, whose album An American Patriot is scheduled for release later this summer. A CAPITOL FOURTH airs on PBS Tuesday, July 4, 2017 from 8:00 to 9:30 p.m. ET before a concert audience of hundreds of thousands, millions more at home, as well as to our troops serving around the world on the American Forces Network. The program can also be heard live in stereo over NPR member stations nationwide. 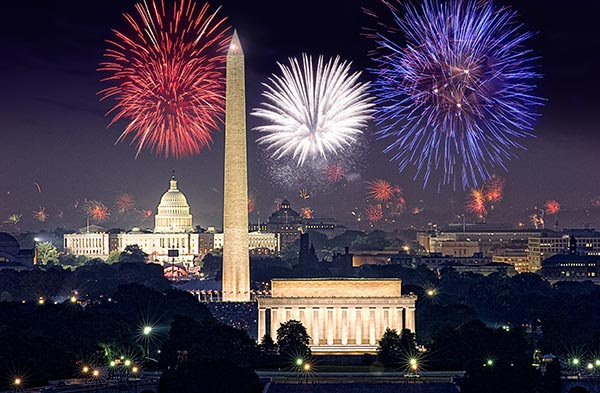 The concert will also be live-streamed online on Facebook Live and pbs.org/a-capitol-fourth and available as Video on Demand for a limited time only, July 4 to July 18, 2017. Emmy Award-nominated actor and producer John Stamos (FULLER HOUSE, SCREAM QUEENS) will host A CAPITOL FOURTH, with performances by: iconic multi-platinum selling music legends The Beach Boys, with special guests John Stamos (drums) and Sugar Ray’s Mark McGrath (vocals); legendary Motown stars The Four Tops; country music star and Grammy-nominated member of the Grand Ole Opry Trace Adkins; THE VOICE Season 12 winner Chris Blue; multi-talented actress and singer Sofia Carson(DESCENDENTS 2); acclaimed country music singer and songwriter Kellie Pickler, Grammy-nominated gospel legend Yolanda Adams and Broadway star and two-time Tony Award nominee Laura Osnes (BANDSTAND) with the National Symphony Orchestra under the direction of top pops conductor Jack Everly.